No, gang, it's not a fancy gizmo in Dr. Crusher's sick bay on the Enterprise, or even something you'd find in secret laboratory at CERN. 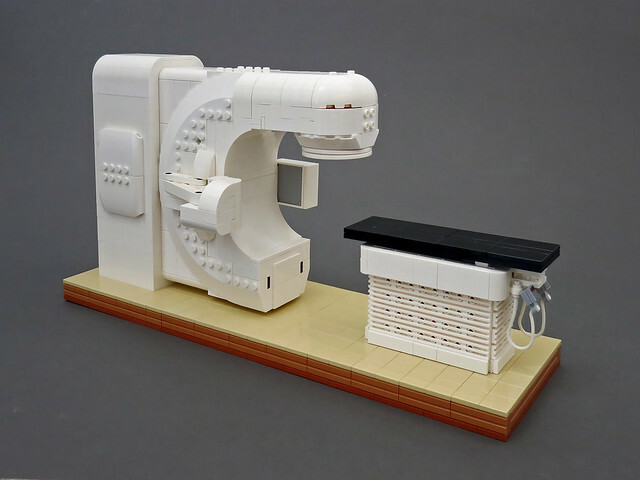 In fact, it's a LEGO replica of a machine used for radiation therapy. Built by Nannan Zhang, it's used to explain treatment to children with cancer. Check out the video where he demonstrates all of the mechanical features. Great idea, Dude!